Homeowners who delay the decision to remortgage their homes at the end of fixed-rate deals, thus moving onto the lender’s standard variable terms, are facing avoidable monthly expenditure. For example, somebody with a £200,000 repayment mortgage over a 25-year term length who avoids remortgaging at the end of a two-year fixed-rate deal could see their monthly repayments rise by around £170, which equates to over £2,000 per annum. Greater ‘stress test’ scrutiny was introduced in 2014, which has certainly impacted some borrowers, especially if their financial circumstances have changed adversely since taking a fixed-rate deal, however, by using an independent mortgage advisor, rather than the original lender, in most cases greater flexibility and more options are available. 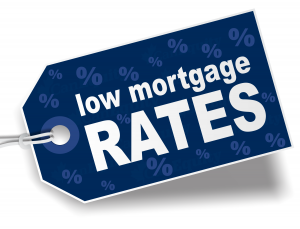 The latest Bank of England figures show that the average lenders’ Standard Variable Rate now stands at 4.49%, whilst the average two-year fixed-rate is 1.42%, and with remortgage approvals in the UK rising from £7.6bn in October 2016 to £8.1bn in January 2017, and with fixed-rate deals becoming cheaper falling over the same period, the market is set to become even more competitive. On top of being able to access the very best mortgage deals currently available, here at The Financial Planning Group, we are able to secure a mortgage deal six months ahead of your current deal ending, which makes it possible for our clients to reserve the best rates – regardless of what the market does in that period. As impartial independent financial advisers we help our clients make the right choices based on their personal circumstances and automatically provide our clients with a full review as soon as they become eligible to remortgage.